Houston Rescheck Example Sample Free | $79 RESchecks & Manual Js. $79 Any Plan. Any State. We had a request on the Rescheck Helpline for a sample Houston Rescheck. Here is an example of an IECC 2015 Houston Rescheck brought to you by the Reschexpert blog and https:/www.rescheck.info. 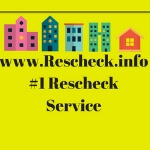 If you need a Rescheck created for anywhere in Texas simply email your plans to [email protected] and we will get you taken care of. We charge only $79 and our process takes 4-6 hours. Email your plans to be reschecked using the IECC 2015 energy code to [email protected] and we will get your Rescheck created today.